The Russian parliamentary elections went smooth as a silk dress under the hand. The ruling party, United Russia, has got a big majority of the seats in the Parliament, while the other three parties, the Communists (CPRF), the Nationalists and the Socialists shared the rest. Pro-Western parties did not cross the threshold and remained outside, as before. The turnout had been low. The official figure pointed to a respectable 48%, but reports in real time indicated it was much lower than that. The last real time figures stood at 20% for Moscow and 16% for St Petersburg. These numbers started to climb inexplicably after 5 pm, and Eduard Limonov, a known writer and a keen observer of the political scene, remained convinced that the turnout had been artificially “improved”. The new election system (a peculiar combination of majoritarian and proportional systems) had been biased for the benefit of the ruling party. It is hard to say whether the Russian elections were rigged, and if so, to what extent. Surely, if any party can complain about being cheated, it was the communists, not the pro-Western nationalists and liberals. Despite what you perhaps have heard, the Communists present the only real alternative to Putin’s regime, as the pro-Western parties are tiny and exceedingly unpopular. The Communists (as well as the other two parties) are Putin-friendly; they support Putin’s foreign policy, and they would support a more active policy as well. They heartily approved of Crimea’s return to Russian fold, and they spoke in favour of military intervention in the Ukraine. Putin is the most moderate Russian politician acceptable to the public; every viable democratic alternative would be more radical, and more pro-Communist or Nationalist. All Russian politicians above a certain age were Communist Party members; the Socialists (Fair Russia) is a splinter of the Communist Party established by the Kremlin in order to undermine the CPRF. In these elections, two alternative Communist Parties has been set up by the Kremlin, and many Russians voted for them mistakenly thinking they were voting for the Communists. If Russian political tricksters were to run Clinton’s campaign, they would flood the ballots with dozens of Trumps hoping that many Trump voters would make a mistake and vote for the wrong Trump. While agreeing with and supporting Putin’s foreign policy, the Communists, the Socialists and a sizeable minority of the ruling United Russia party disagree with Putin’s liberal economic and financial policies. They would like to suppress the oligarchs, to introduce currency controls, to re-nationalise privatised industries and to strengthen the social state. But they can’t do it: even if they were to gain a clear majority in the elections, Putin would still be entitled to ask, say, liberal Medvedev or arch-liberal Kudrin to form a government. The problem is that the Russian Parliament’s powers are extremely limited. The constitution was written by the Russian liberals and their American advisers to prevent Russians from ever regaining their assets massively stripped by a few Jewish businessmen. The constitution gave the president a Tsar’s clout, and minimised the powers of Parliament. It was imposed on Russia in 1993, after the previous Parliament impeached then-president Yeltsin; instead of fading away gently, he had sent tanks and shelled the Parliament. Its defenders went to jail; Yeltsin rammed through the new constitution, and it was inherited by Putin. Our friend the Saker said “These elections were a huge personal victory for Vladimir Putin”. But is it true? The United Russia includes people of widely differing opinions, from pro-Western privatisers to closet communists. Their common platform is their adherence to power. They are equally likely to support Putin or to condemn and impeach Putin. They are similar to the Regions’ Party that ruled Ukraine in the days of President Yanukovych, or to the Soviet Communist Party in the days of Gorbachev. In the time of trouble, they will run away and desert their president. Putin might get a much better grip on power if he were to allow more freedom and democracy, thereby getting more convicted supporters, real Putinists, instead of careerists. However, Putin prefers pliable careerists. We shall see whether he will have a reason to regret it, as Yanukovych had. It is not much democracy, you might say, if an impotent parliament is packed by faceless yes-men. Parliament is not a place for discussion, famously said Boris Gryzlov, a United Russia leader and the Parliament Speaker. «It is not a place for political struggle, for ideological battles; it is a place for constructive law-making”, he added. Russian freedom of speech (almost unlimited) is totally disengaged from action, and this is frustrating. Even demonstrations are limited and can lead to arrest. In Gryzlov’s words, “Streets aren’t for political actions and protests, but for festivities”. If this is the function of parliament, who cares about it? Who can blame the majority of Russian voters for staying away from the city in their countryside villas (“dachas”) in the midst of the glorious Indian summer? What’s worse, there are fewer and fewer reasons for people to bother to vote, in any country. In Europe, the difference between the parties has practically vanished. Consider France: what’s the difference between Sarkozy the rightist and Hollande the leftist? Nothing whatsoever. The first blasted Libya and integrated France in NATO, the second wants to blast Syria and fulfils all American orders. There is no difference between parties in Sweden, either. All are for accepting a billion refugees, for condemning racists in their midst, for integrating in NATO and for foaming about the Russian threat. What is the difference between Cameron the Tory and Blair the Labour? Nothing. NATO, bombs, tax breaks for the rich are for both. The parliaments and people mean very little now in Europe – as little as in Russia. The British people voted for Brexit. Fine! So did it happen? Not at all. The new unelected government of Theresa May just pushed the decision far away into the heap of not-very-urgent business correspondence next to requesting assignment of a budget to a Zoo. Maybe she will deliver it to Brussels in a year or two. Or people will forget about that vote. In a few months, Mrs May will say as Stephen Daedalus said when asked will he repay the pound he borrowed: “Five months. The molecules all changed. I am an other I now. The other I got the pound.” The other England voted for Brexit, the molecules have all changed. Let us re-vote, or even better just forget it. Many people I spoke to already repeat, word-perfect, the new post-Brexit-vote mantra: “Only retired old folk and unemployed racists voted for Brexit.” Mrs Clinton provided the name for them: The Deplorables. This American name for perspective Trump voters fits the Brexit voters like a glove. A Deplorable is a person who does not subscribe to the ruling neo-liberal paradigm and its twin sister, identity politics. Clinton spoke of deplorables at her meeting with the rich perverts of Wall Street, at a hundred thousand dollar a seat. Breaking the banks or providing jobs will not help you, the holy LGBT victims of white male persecution, she said. Sure, but it will help us, the working people. We do not care for unisex lavatories, we do not obsess about female CEOs. We have other worries: how to get a secure job and a decent house and provide for our children. This makes us deplorable in the eyes of rich perverts. A new generation of parties has sprung up in Europe: the parties of the Deplorables. In Sweden, until now, a Swedish Democrats party, the only party speaking against NATO, against the EU, against the intake of migrants had been excluded from public debate. Two main parties, the Right and the Left, forgot about their long animosity and made a government together, just to keep the SD out, because they are deplorables. The result was paradoxical: more people have moved to support the deplorable party. French FN or Marine Le Pen is another party of Deplorables. She wants to take France out of EU and out of NATO, and to keep the migrating waves out. The Left and the Right would rather submit to Saudi Arabia and transfer the power to sheikhs than to allow the Deplorables to win, mused Houellebecq in his Submission. The Deplorable Jeremy Corbyn was almost removed from his chairmanship of the Labour party by the Labour MPs. The MPs preferred to keep their party as a clone of the Conservatives and to leave the electorate without a real choice. But Corbyn fights, and hopefully he will keep his party and proceed to victory. More power, more money, more control goes to a smaller group of people. We were disenfranchised, without noticing it. The financiers and their new nobility of discourse took over the world as completely as the aristocracy did in 11th century. Russia with its very limited democracy is still better off: their nobility of discourse polled less than three per cent of the votes in the last elections, though they are still heavily represented in the government. The last decisive battle for preservation of democracy now takes place in the US. 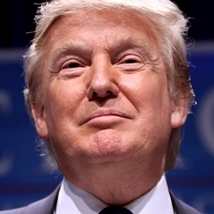 Its unlikely champion, Donald Trump, is hated by the political establishment, by the bought media, by instigated minorities as much as Putin, Corbyn or Le Pen are hated. A man so hated by enemies of democracy is one who deserves our support. When the revolution comes, whoever says “xenophobe, racist, misogynist” to his brother will be lined up against the wall and shot. So it probably won’t be Sanders’ revolution. I am worried that his enemies will not allow Trump’s inauguration: they will say Putin hacked the voting machines, and send the case to the Supreme Court; or perhaps they will try to assassinate him. But first, let him win. This already sounds enticing enough. Israel fears democracy, fears peace in the Middle East, fears US disobedience, fears the Jews will lose their reserved places at the first class saloon on the upper deck, in the editor’s rooms and the bank manager’s. Let them tremble. The consequences of Trump’s victory will be far-reaching. Our belief in democracy will be restored. NATO will shrink, money will go to repair the US infrastructure instead of bombing Syria and Libya. Americans will be loved again. 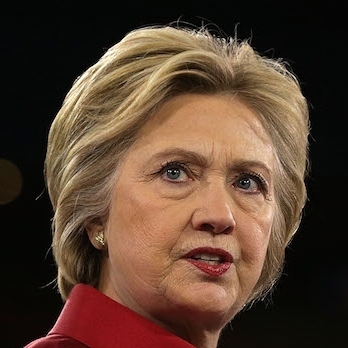 The consequences of Clinton’s victory will be as short-lived as we are, for she will deliver us the living hell of a nuclear war, and eternal dictatorship of the Iron Heel. This election is like a red pill/blue pill choice given to you. “You take the blue pill, the story ends. You wake up in your bed and believe whatever you want to believe. You take the red pill, you stay in Wonderland, and I show you how deep the rabbit hole goes.” Providentially, we know what colour stands for Trump, and what for Clinton. Facets: Will Risk Guts, & Laissez-Faire Capitalism. 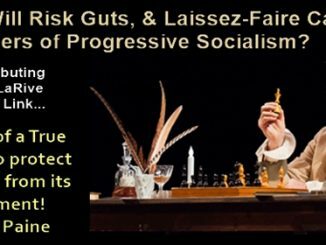 The Dangers of Progressive Socialism?